Get the room ready for your bundle of joy with personalized baby’s nursery décor, such as our custom picture frames! Customized nursery decorations like wall crosses, piggy banks, and name plaques add that very personal touches to baby’s nursery. We also offer personalized baptism gifts. These items are also perfect for children to personalize their rooms with special touches. 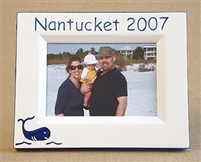 View our large selection of wall art, piggy banks, and kids personalized photo frames that can all be made special and can become treasured keepsakes.